Hands-on Laser Training for 450 Hours! 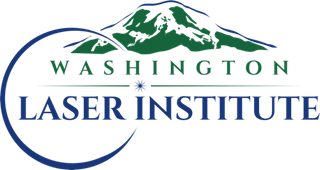 There is no other program dedicated to over 11 1/2 weeks of hands on training with over 30 different lasers and medical energy modalities than the Washington Laser Institute. In addition to the intensive hands on laser training supervised by physicians, you will become proficient in dermatology, patient assessment, and laser theory. You will learn how to combine modalities such as micro needling, ultrasound, micro current, masks, chemical peels, hydrotherapy and microdermabrasion with medical energy devices. Such knowledge teaches you how to provide exemplary services to your clients. Plenty of clients is never an issue at Washington Laser Institute. Patients from all communities seek out reasonable pricing for advanced esthetic treatments by our gold standard advanced trainees. We are always driving to update our curriculum to better serve the students. We have recently added HIV certification, a plastic surgery electronic medical records (EMR) system,and HIPAA compliance certification. Resume building and employment coaching is also part of our robust training program. Washington Laser Institute is equipped with the latest technology in cosmetic lasers, IPL, Radiofrequency and Ultherapy for every treatment option. In this rapidly growing cosmetic industry, it is imperative that the esthetician be proficient in the operation of the most modern laser technology and be exposed to several lasers. At Washington Laser Institute, each student will be required to perform several hours of laser treatments on real patients with state of the art lasers all under the guidance of the staff physician and licensed master esthetic instructors as required by law. Any esthetician presently working in a laser facility wanting to gain a structured clinical education with robust didactics can now expand their knowledge. Hands on experience taught by licensed master esthetic instructors and physicians make Washington Laser Institute unique Any esthetician with no laser experience wanting to advance their license should enroll at Washington Laser Institute. Any laser institute should have state-of-the-art equipment and a top notch facility to accommodate students. All advanced laser classes are taught by highly qualified licensed esthetic instructors and full time physicians. 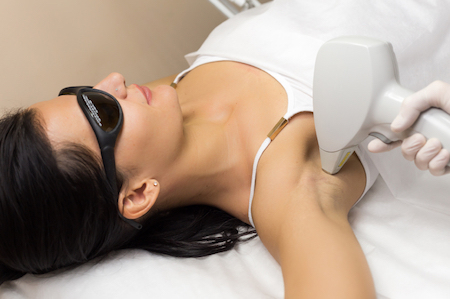 At Washington Laser Institute advanced laser hair removal training, IPL laser training, and laser tattoo removal training are just a few of our courses offered. Learn from the leading professionals in the esthetic industry. Integrating your core curriculum from you basic esthetic school and transition into our advanced program. Washington Laser Institute is an official DOL 450 hour advanced post secondary school for Master Esthetician training. WE PREPARE YOU FOR THE NIC WRITTEN AND PRACTICAL MASTER ESTHETICIAN EXAMINATION. As a Washington Laser Institute student, we provide you with board kits designed as per NIC. Graduates enjoy alumni benefits. All products you may need for your spa or personal use have student pricing attached! Come join us. Be a Washington Laser Institute graduate! 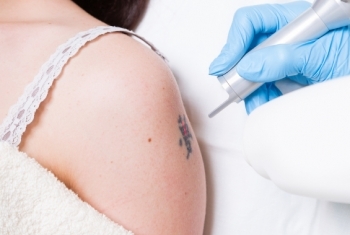 The regrets of an old tattoo have made laser tattoo removal very popular. Old tattoos fade and become unsightly. We have all seen someone with thick ugly toenails. Perhaps you or your loved one suffers from onychyomycosis or toenail fungus. In fact, one out of nine people have some toenail fungus which until recently has been very hard to eliminate. Sign up for special offers and related notices by joining our mailing list.